Since the gold rush of the 1930s, the people of Tennant Creek have prided themselves on self reliance, community involvement, and the ability to provide their own entertainment. The spirit of those early days lives on, and we hope you will take the time to capture it during your stay. 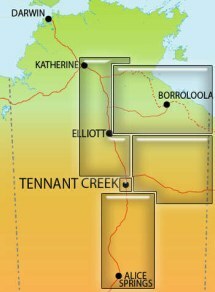 Centred around the junction of two great highways, the Stuart Highway and the Barkly Highway, the region stretches from the old Telegraph Station at Barrow Creek in the south, to the historical droving township of Newcastle Waters in the north, and east to the Queensland border. This exciting region is steeped in history and culture. 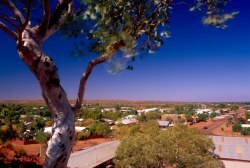 Tennant Creek has been called "the best kept secret in the Territory", because visitors find the Region has far more to offer than they realise. Plan to stay a day....or two, and relax. Our air is clean and fresh, our locals are friendly, our wildlife is fascinating, our history is full of strange quirks, and for most of the year our weather ranges from great to fantastic. We're sure you'll enjoy your stay.